This post is a day late. By the time I got back to the flat last night, I was tired and went to bed almost immediately, because I had to get up early today for a tour. Yesterday, I was kind of lazy in the morning, doing some laundry1, and generally taking it easy. I left around 11:00, and went for a walk. 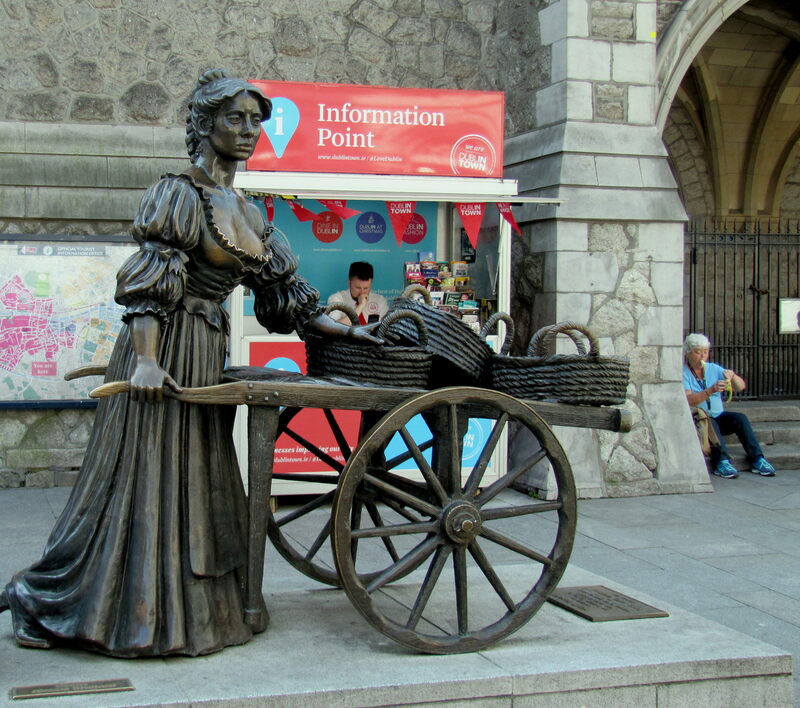 My first destination was the Molly Malone statue. That’s where I had to meet my tour this morning, and the statue wasn’t where it was five years ago. But I found it. After that, it was a short walk over to Grafton Street, grabbed some food, and headed down to St. Stephen’s Green. 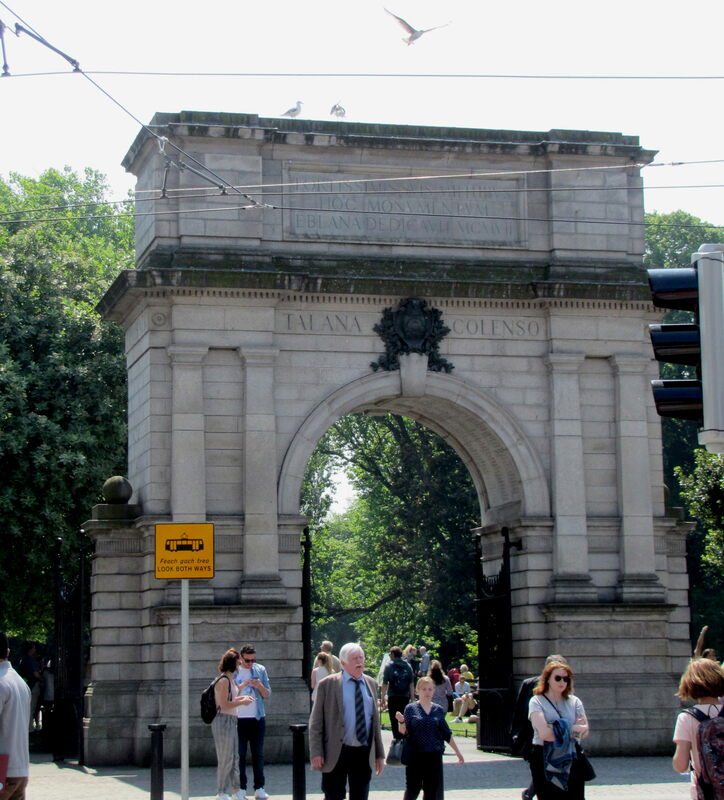 I think it was a bank holiday yesterday, and the weather was perfect, so the park was very, very full of people. It was a lovely day. 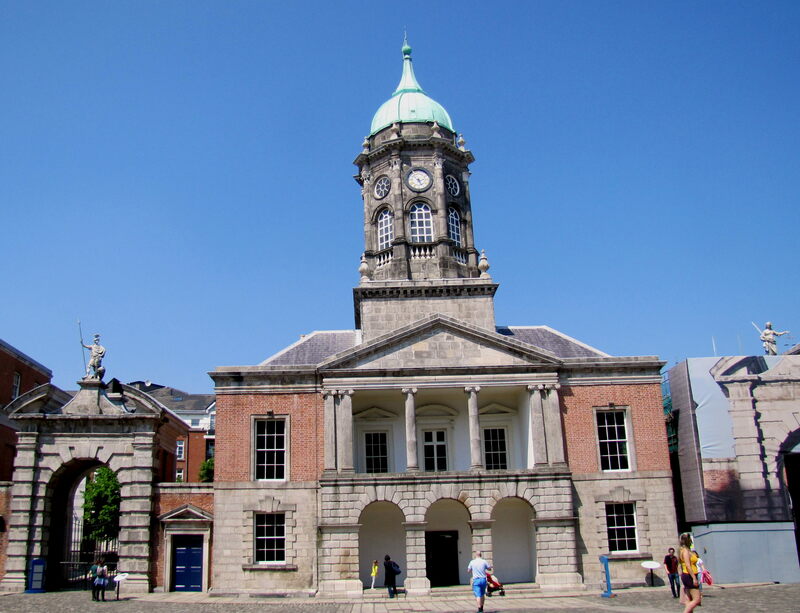 After lunch, I headed over to Dublin Castle. I’ve been there before, but what with one thing and another, I never got a chance to take the tour. This time, I changed that. Because it was such a beautiful bank holiday Monday, this place was also packed, and I had an hour’s wait before I could get in on a guided tour. I spent the hour sitting in the courtyard. This clock tower is where the drawbridge used to be when the castle was an actual castle and had a moat. 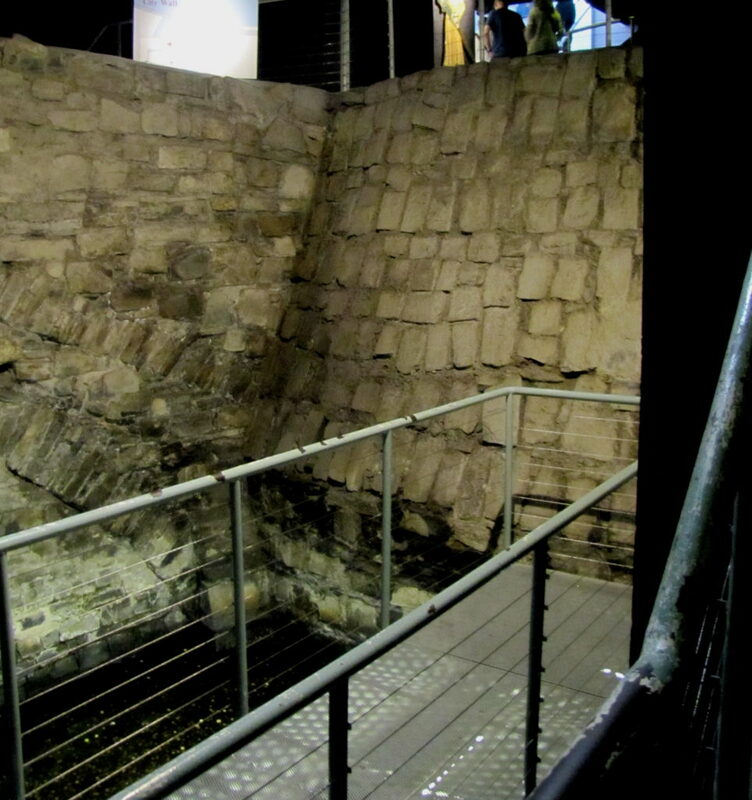 It also used to house the crown jewels, but they were stolen in 1907, and haven’t been recovered. 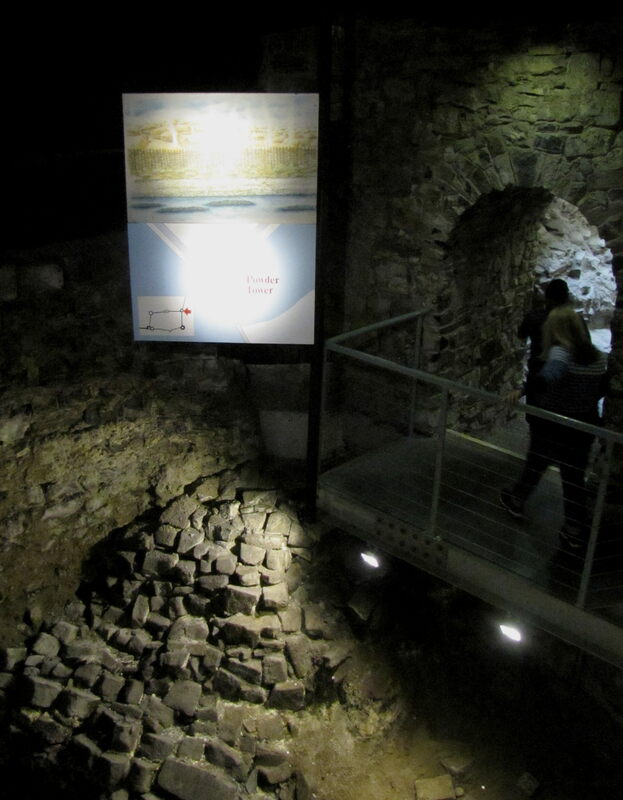 One the coolest parts of the tour is going down into the remains of the medieval castle structure. This is the base of the Powder Tower, which was destroyed in a fire in the 17th century. They actually detonated some of the powder stored here to destroy the tower and extinguish the fire. This is a section of the surviving castle wall, also down below the ground level. Down at the bottom is the remains of the River Poddle, which was diverted in the middle ages to act as a moat to the castle, and eventually was completely covered over. We went across to the Chapel Royal, as well. I’ve got some pictures of that over here, but I learned something kind of interesting. Okay. The lofts around the Chapel Royal have all the crests of the Viceroys of Ireland, along with the dates they started their terms of office. 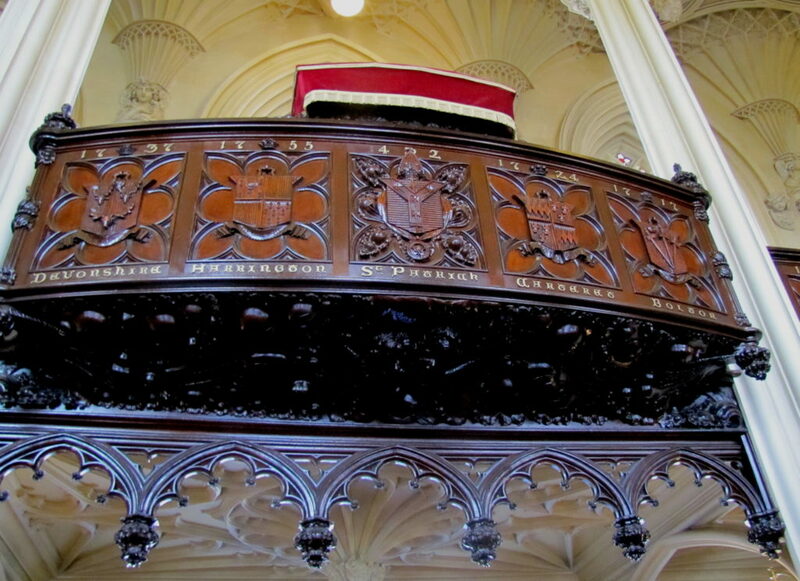 But, see, the Bishop can’t sit behind a political crest, so they put St. Patrick’s crest up in front of the Bishop’s Seat. And (this is the part that amuses me) they put the date that St. Patrick began his mission to Ireland – 432. From the Chapel Royal, we went over to the rooms of state at the castle. Again, very busy, very crowded. I managed to get only one picture that didn’t have a bunch of other tourists in it. This is the drawing room. 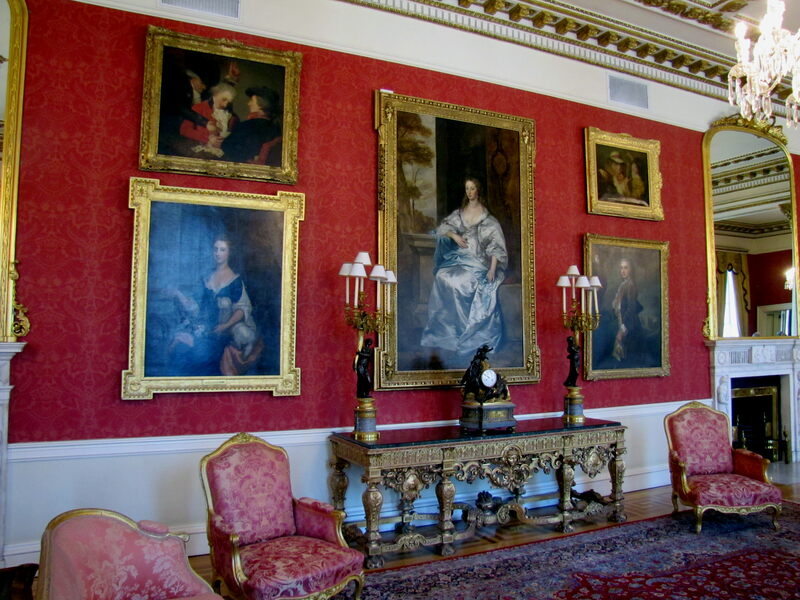 It gives you an idea of the sumptuous decor of the rest of the rooms of state. The administration rooms aren’t nearly as opulent. After the tour, I walked back to the flat, and had to leave again in about 45 minutes to get to the Irish House Party. This was a really nice2 evening that involved a good dinner and an evening of traditional Irish music and dance. I met a very nice family from Missouri, got a copy of the band’s CD, and made it home around 11:00, where I posted my excuse for no post, and went to bed.